Reviews: Powerhouse Marketer. Pro's Pro. Exceptional strategist. Eloquent speaker. Dynamic presenter, Diligent and thoughtful. Becomes an integral part of your team. Inspire your audience to start taking success action steps while they're still in the room. Barbara Rozgonyi leads CoryWest Media. A Midwest-based WIRED branding and social selling consultancy, CoryWest Media positions its clients as highly visible, attractive, and influential leaders online. The company’s client list covers a wide range of industries in sizes ranging from Fortune 500 to startups. A digital pioneer exploring new communication + technology frontiers, Barbara has a history of being an early adapter. After managing the launch of the intranet for a Fortune 50 company in 1998, Barbara organized Chicago's first sold out writing for the web conference in 2002. In 2008, Barbara founded Chicago's Social Media Club and went on to participate in planning over 60 events, many attracted up to 300 people. In 2013, Nokia selected Barbara as one of two US reporters to cover Social Media Week Berlin. At IMEX 2014, Barbara was the conference's marketing and communications expert. Barbara developed the strategic marketing and PR plans for Industry Xchange Chicago 2015, an event presented by 12 of the Midwest’s leading hospitality organizations. In 2016 she was tapped to talk about industry trends at Industry Xchange Chicago. An author, Barbara contributed the LinkedIn chapter to "Success Secrets of the Social Media Marketing Superstars," and the PR chapter to “Success Secrets of the Online Marketing Superstars.” Named one of the top 50 content marketing influencers on Twitter, Barbara's digital brand is @wiredPRworks. Her work is cited in several books including "Mom Blogging for Dummies" by Wendy Piersall; "Sticks and Stones: How Digital Business Reputations Are Created Over Time" by Larry Weber; "The Zen of Social Media Marketing" by Shama Hyder; and "The New Rules of Marketing & PR" by David Meerman Scott. The mother of three magnificent millennials, Barbara loves connecting her audiences with future success RN [right now]. Ready? Let’s go!!! A recognized social media, content marketing and digital PR authority, Barbara's media mentions include Crain's Chicago Business, Inc.com, American Express OpenForum, BusinessAdvisor.com, HuffingtonPost, WDCB, WIND, NFIB.com, LowesForPros.com, LawMarketing.com, Mashable, Germanys FAZ, Chicago Tribune, and NBC5. As publisher ofwww.wiredPRworks.com, a top 50 marketing and PR blog, Barbara reports on ways to grow business, build brands, and connect communities. Her body of work includes over 1100 blog posts. Before founding CoryWest Media, Barbara was a national sales manager whose custom training programs for health insurance reps increased sales by up to 400%. Her consulting projects include creative communications strategies for Top 50 corporations, small businesses, educational institutions, government entities, PR agencies, consultants, entrepreneurs, associations, and students. 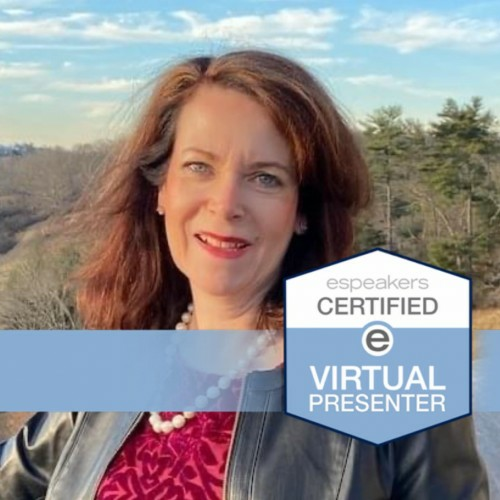 Barbara's speaking engagements include presentations to associations, corporations, sales teams, communication teams, conferences, events, and higher education including . . .
MPI Potomac MACE 2017, Kirkland and Ellis, IACC 2016, MDRT 2016, Association Forum Forward 2016, PCMA Convening Leaders, MPI EdCon, MPI TechCon, IMEX America, IMEX Frankfurt, Association Forum Holiday Showcase, NACE DC, South Dakota EDC, Meetings Tech Expo Chicago, ISSMM Converge, YPO International, IAPD, NAMIC, Integrated Social Media Communications Forum, International Association of Privacy Professionals, Weber Shandwick Chicago, Federal Reserve WEDGE Conference, Affiliate Summit West, SOBCon, Higher Learning Commission AQUIP, Joint Commission, Integrated Marketing Summit, PR MKTG Camp Chicago, NACM Annual, NACM Regional, NCMPR, Ragan Communications' Social Media Bootcamp, UnGeeked Elite, National Association of Catering Executives DC Chapter, White Sox Social Media Night, Illinois Parks and Rec Association Annual Conference, International Social Media Association, Office Depot Web Café, The Business Ledger Newsmakers Forum, Chicago Suburban Public Relations Society of America PRSA, DePaul University Kellstadt Marketing Group, Community Media Workshop Making Media Connections, National Speakers Association-Illinois, Citibank, Chamber of Commerce, INSPRA, ISACA, adjunct faculty at College of DuPage. Find out more about Barbara Rozgonyi at http://barbararozgonyi.com.